Talha d'aqueste apercebut : 800 × 447 pixèls. Autras resolucions : 320 × 179 pixèls | 640 × 357 pixèls | 1 024 × 572 pixèls | 1 280 × 715 pixèls | 4 167 × 2 327 pixèls. 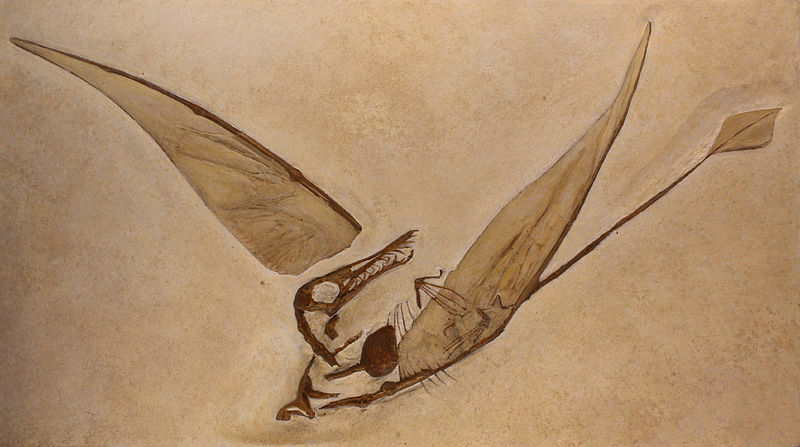 English: Fossil specimen of Rhamphorhynchus munsteri, YPM 1778 (example number 33 in Wellnhofer, 1975). Français : Moulage de Rhamphorhynchus munsteri vivant entre -155 000 000 et -150 000 000 an. YPM, New Heaven, USA Eichstädt, Germany Musée de sciences naturelles de Bruxelles. Please credit this with : Picture by M0tty and mention the license in the vicinity of the image a hyperlink or URL to this page is also a valid attribution. A e-mail to M0tty is much appreciated but not mandatory. Do not copy this image illegally by ignoring the terms of the license below, as it is not in the public domain. If you would like special permission to use, license, or purchase the image please contact me M0tty to negotiate terms.